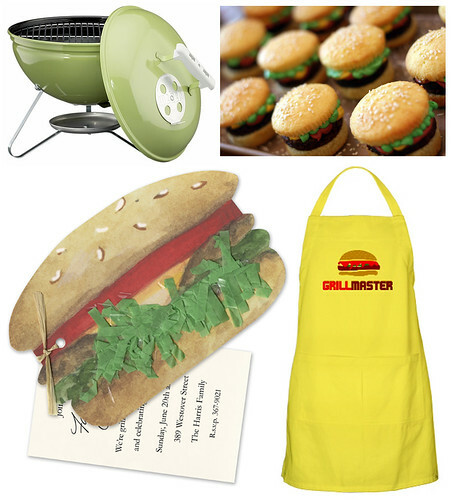 This Father’s Day, throw a gourmet barbecue in dear old Dad’s honor. Instead of the standard beef hamburger, serve up tastier treats on buns like chicken burgers, chickpea burgers, balsamic portobello burgers and BBQ pork burgers. With a menu like that, Dad is sure to do a little happy dance when he smells the charcoal grill warming up! 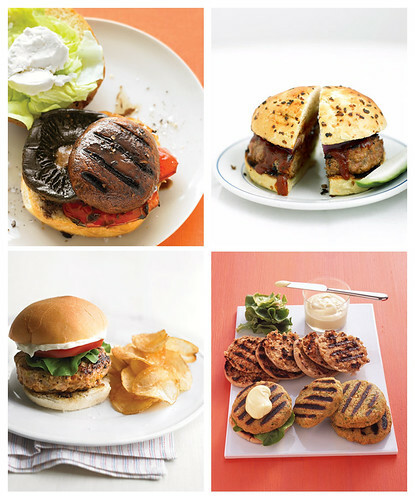 Clockwise from top left: Balsamic Portobello Burger, BBQ Pork Burger, Chickpea Burger, Chicken Burger (all recipes from Martha Stewart).